Sea level difference in height from the 1993-2000 normal for July 2015. 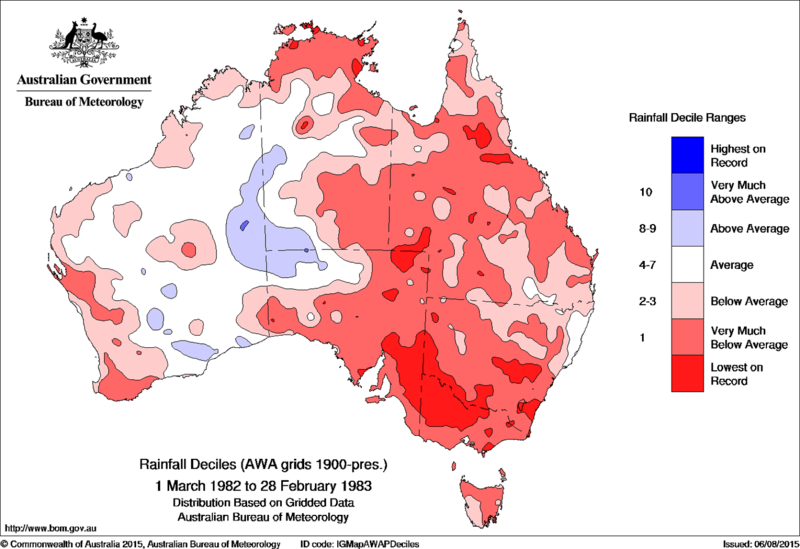 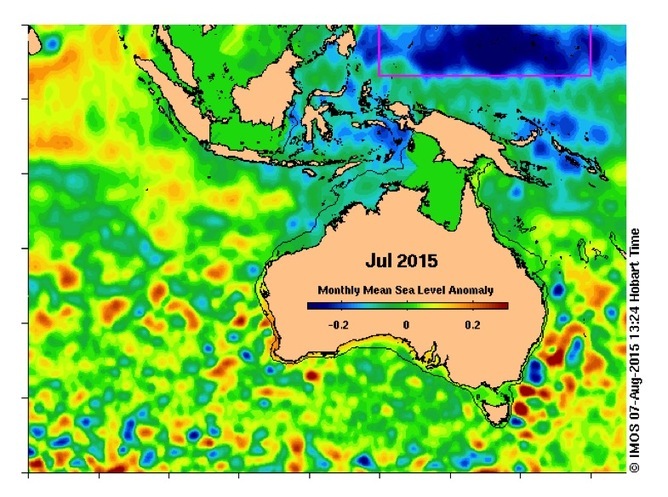 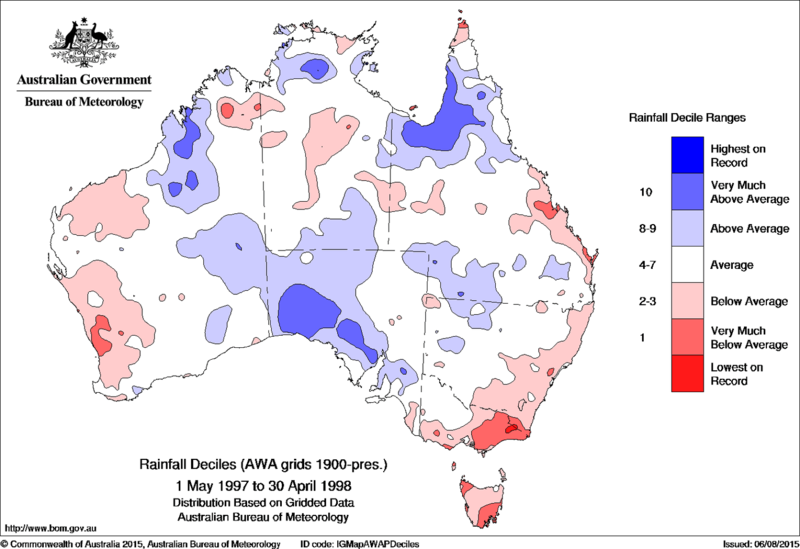 Exceptionally low sea level to the north of Australia as expected with El Niño events. 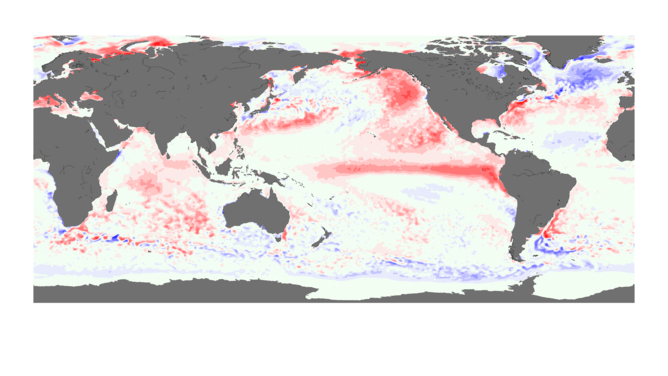 Changes to sea level anomalies (relative to the 1993-2000 average) in the western equatorial Pacific (pink box in the previous image). 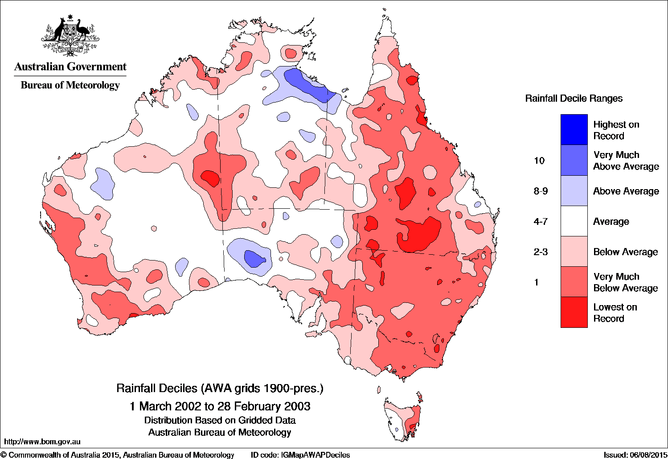 This year is shaping up to be a lot like the El Niño of 1997. 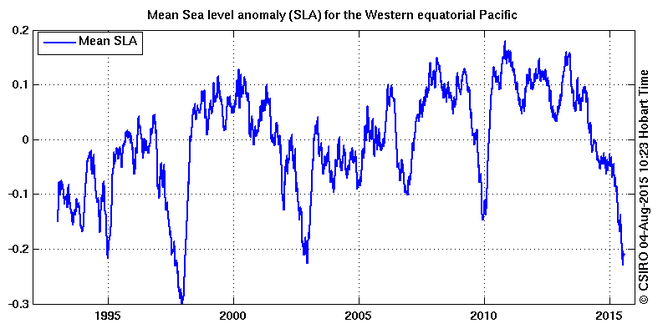 Also note the clear fall in western Pacific sea level in the El Niño events of 1994/95, 2002/03, 2006/07, and 2009/10. The authors will be one hand for an Author Q&A between 12:30pm and 1:30 pm on Tuesday, August 11. Post your questions in the comments section below. Jaci Brown is Senior Research Scientist at CSIRO. Andrew B. Watkins is Manager of Climate Prediction Services at Australian Bureau of Meteorology. 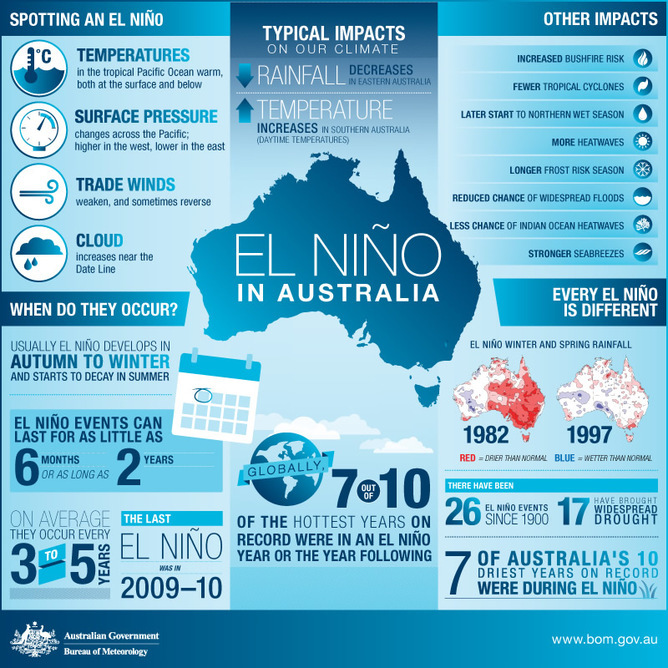 Madeleine Cahill is Oceanographer at CSIRO.